These are my go-to to-go noodles. They’re a little sweet and a little spicy. 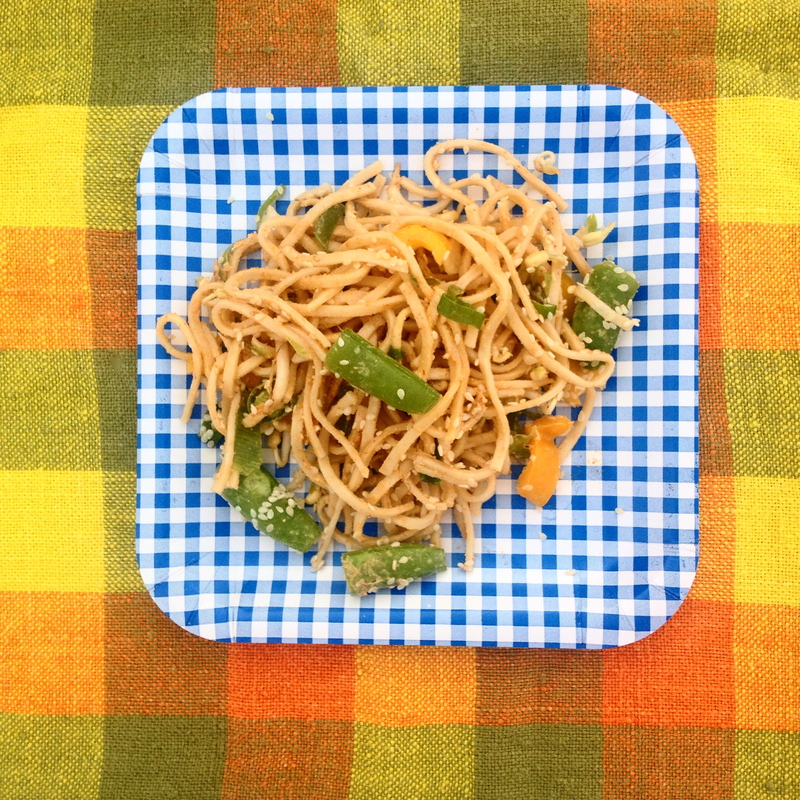 The perfect, portable, picnic fare – they’re delicious eaten cold. Note: I’ve made some suggestions regarding what veggies to throw in, but you can use whatever is in season and in your fridge. Bean sprouts and kale would be yummy additions. Next Post Super Bowl to the Rescue!